I don't know if you guys witnessed the proper trouncing that thick and soft cookies received at the hand of medium and chewy, but it was good and just. Thick and soft cookies are for people who like dry cake that tastes mostly of uncooked flour. Now on to matters of greater import. I'm getting my hair cut because I can no longer coexist with this nonsense atop my head. My barber for ladies suggested that I look on the internet for some pictures to bring, so we'd be sure to be thinking about the same thing. I feel stupid hunting for pictures of celebrities, because it starts feeling like Octomom/restraining order territory when you're purposely emulating Reese Witherspoon, but hey, she pays people a lot of money to make her look good, so it's probably not a bad way to go. Which is to say: look at these and tell me what you think. Or there's this. I'm not certain that my hair will stay all curly and ringlety if I cut it short, so maybe this would be a better option (the far left picture). And don't start telling me about her underbite. She's not for everyone, I know. But sometimes she's really pretty and I sort of love her raccoon eyes. It reminds me that I'm going to buy some liquid eyeliner and do raccoon eyes for a date with John one of these days. He'll be thrilled, especially if I wear the leggings. He loves it very much and is not at all embarrassed when I dress crazy. 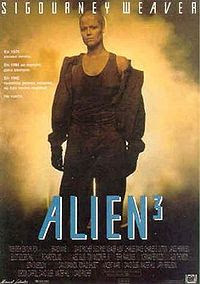 What I'd like most is Sigourney Weaver Alien 3 hair--the ease! the simplicity!--but I do sin in my wish. Also: I took Skiver to the vet today because he's been acting really sluggish, not eating, losing weight, and his backbone is starting to really protrude. The good news is: they don't know for sure what, if anything, is wrong with him. But! We can spend a cool hundred fitty to find out. I said nay and got him dewormed and on an antibiotic for his cough (which: what?) as well as a dewormer and CD&T shots for the goats. Goodbye, eighty dollars! I'm going to tell you everything that you've probably already read on the internet. It depends on your face shape, your hair type, and how much time you have to spend on it. From what I understand, you're suppose to try to create an oval (evidently, the "perfect" shape for a face). My votes are on the first do. I like the "Kiera" but it might end up being more maintanence than its worth. I dunno. I just see you more with the first one- You should post a picture after you get it cut! I want to see! I vote for Reese as well. I think the Reese is prettier, but unlike Jenny, I think the Keira would be less maintenance if you were willing to wear a small barrette to keep bangs out of eyes. I suspect Reese's damp-looking ringlets are enabled by stylists. On the other hand, for an instant when I was scrolling down I thought that Reese was you, based on pictures I've seen, so maybe that is your true destiny. why are you wasting my time with banjo kazooie? there's no emoticon for what I'm feeling! as much as I love red lake #40 . . .